This is where Dambuster hero Barnes Wallis lived his childhood. Description: Sir Barnes Wallis (1887-1979) was born in Derbyshire but moved here when he was 5, living here until he was 22. He is famous for his career as a pioneer of aircraft design and the vital role he played in the design and invention of the bouncing bomb, used during the Royal Air Force's Operation Chastise raid in 1943. 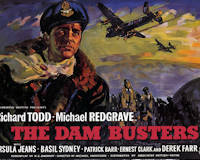 It was also the subject of the acclaimed 1955 action film The Dam Busters, in which Wallis was played by Michael Redgrave. Among his other inventions were his version of the geodetic airframe and the earthquake bomb. Locally he attended school at Haberdashers' Aske's Hatcham Boys' Grammar School in New Cross. He left school to start work in January 1905 at Thames Engineering Works in Blackheath and then won an engineer apprenticeship at J. Samuel White's, a shipbuilders in Cowes on the Isle of Wight. He left J. Samuel White's in 1913 when an opportunity arose for him to work on airship design and then aircraft design at Vickers. 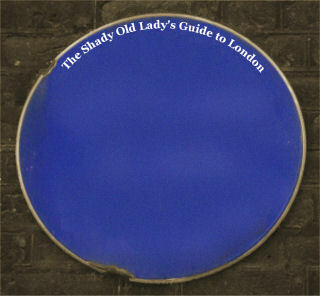 A maroon plaque was unveiled here on 29th September 1984.